Is a Moderate Culture-based Bioethics Possible? Time: 4:30 - 6:15 p.m. 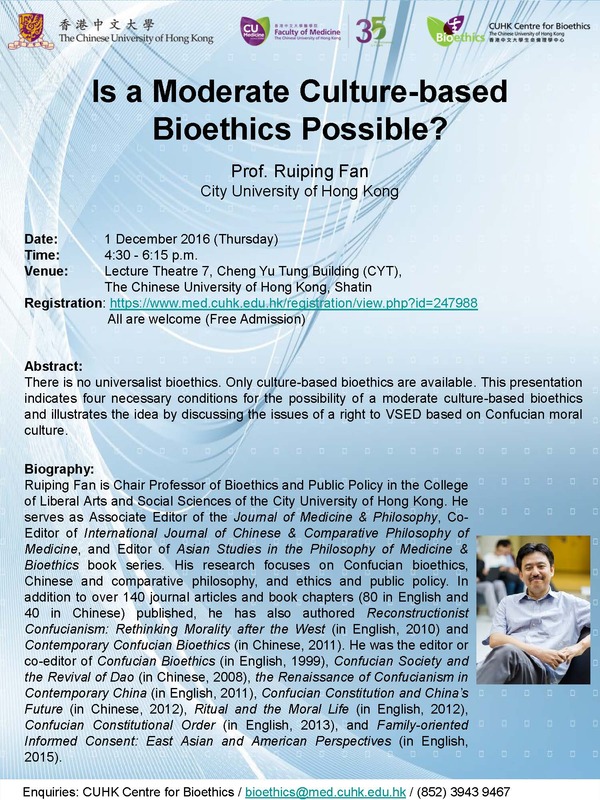 Presentation slide by Prof. Ruiping Fan - "Is a Moderate Culture-based Bioethics Possible?"